Fox Chase Cancer Center is the Philadelphia region’s only hospital devoted entirely to cancer treatment, research and prevention. As such, Fox Chase Cancer Center houses the area’s most sophisticated technology in the areas of surgery, radiation and diagnostic imaging. When it came time to expand their endoscopy suite, they turned to Cenero to design and implement an audio visual solution that would allow observation and collaboration during endoscopy procedures. The requirements included the need to present and manage multiple high resolution and standard definition images. Fox Chase Cancer Center was already very familiar with Cenero’s ability to design and implement audio visual systems, but this time they challenged Cenero to design an alternative solution for the control, management and distribution of video within their new endoscopy suite. 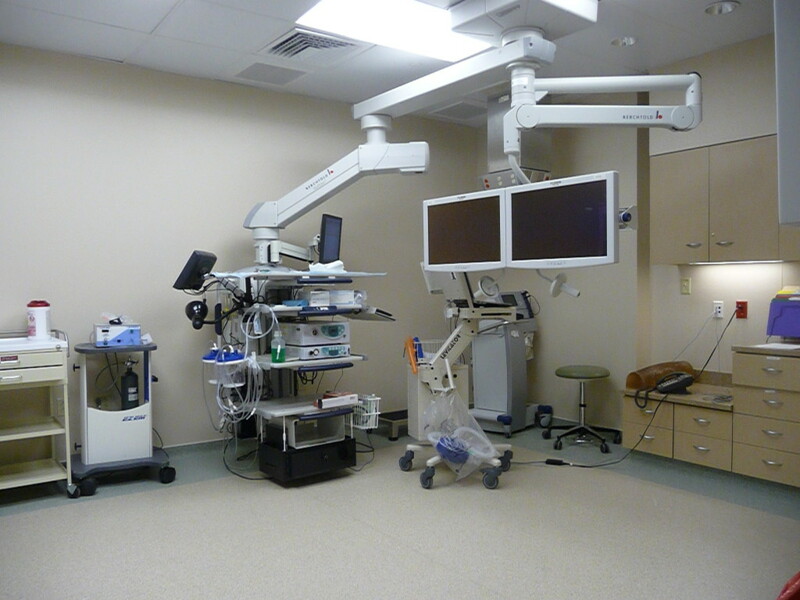 The video from the medical equipment needed to be displayed in the procedure room and have the ability to be shared with the other procedure rooms and a conference room located in the suite. Cenero collaborated with Fox Chase Cancer Center healthcare professionals to design a system that enhances collaboration during endoscopy procedures. Through the use of matrix switchers and multiple monitors Cenero was able to design a system that allows video from multiple sources and multiple resolutions to be displayed and shared among the procedure rooms and conference room within the suite. Finally the combination of a Crestron control system and Cenero designed interface make the system extremely easy to use for users of any acumen level.